Application management is about designing, building, implementing, monitoring and controlling software applications and the overall application landscape. Dragon1 as your personal Innovation Lab for you as business professional is perfectly fit for Application Management. This because any application and application landscape can be modeled, visualized, designed, analyzed, monitored and managed. Application Management as area deals with the application landscape of an organization. Application Management is about managing all the applications of an organization. An Application Landscape is the coherent set of applications of an organization. Often the goal of Application Management is to reduce the costs and lower complexity of the Application Landscape in order to keep the application landscape agile and fit for use for the business (processes). Many users on Dragon1 create and manage their Application Landscape using by means of views and visualizations of the application landscape. 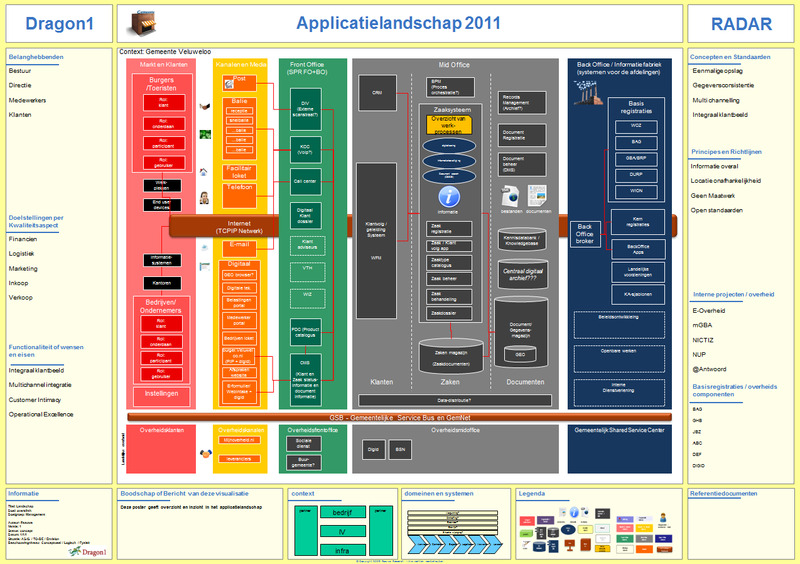 The management overview of the application landscape is often visualized in an Application Landscape Diagram. 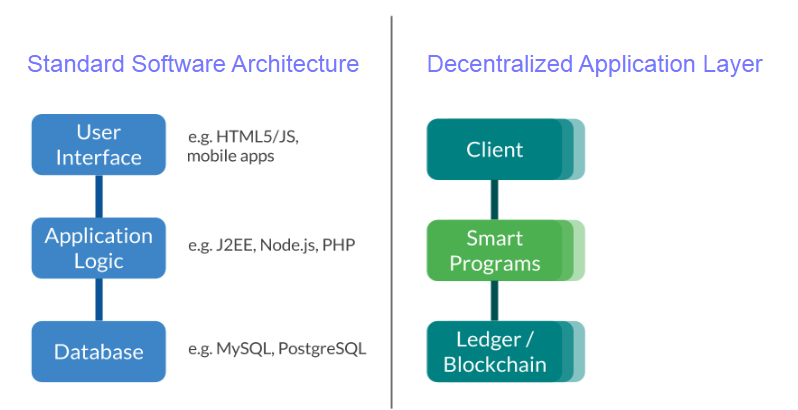 Here's a typical example of an Application Landscape Diagram. On Dragon1 we have a template, checklist, tutorial and much more for you to create an application landscape in a short period of time. You will be managing your Application Landscape in no time, reducing costs and lowering complexity. It is very easy to manage, rationalize, maintain and control the set of applications you have. You can even create an application architecture for your company on Dragon1. Rationalization is about rethinking which applications are really needed and for what task, and which are not. And doing this may lead to a lot fewer applications actually are needed. And that can save a lot of time, money and resources. Dragon1 supports you visually in rationalization your application, like deduplicating. Just generate large size overviews of IT environment. Many organizations have four or five version of the same software. One goal is then to reduce the number of different versions of the same software in your organization to one. Every organization today needs an EA repository (EA stands for Enterprise Architecture) for their applications. An excel sheet just won't do today anymore. In this EA repository, you need to administer data of your application at three level of abstraction: conceptual, logical, physical and implementational level. Examples of application elements to administer are modules, functions, services, business rules and interfaces. Examples of application components are: dlls, source code, operating systems, scripts, documents and manuals. Administering these kinds of elements and components, will enable you to have an overview of dependencies regarding applications. So you can execute small and big changes more easily. Dragon1 supports you in creating such an EA repository. You have the freedom to administer anything you want. But you also choose to work with a schema that enforces you to work with certain type of elements and components. It is not only important to know of the structure and dependencies of your application landscape at logical and physical and implementational level. In relation to your enterprise strategy, it is more than important to know the conceptual level and the application principles. Examples of application concepts are loosely coupling, data hiding, data integration and application virtualization. Being able to implement these kinds of concepts at a mature level will ensure you will gain the benefits these concepts as said to bring. By administering the elements and components implemented in the organization that are part of these concepts, and projecting that onto a pattern, one can see which important elements and components are missing for the concept to really work and produce beneficiary results. Administering principles or rules are also very important. Here we provide some example principle or rules that will make you understand it is important to administer these. In the previous paragraph we mentioned you would want to project implemented elements onto patterns. But to be able to that you need to be able to administer patterns. Typical application patterns are Observer, client/server, model-view-controller, Demilitarized Zone (DMZ). Dragon1 supports analyzing and designing your application landscape one using user-defined patterns, building blocks and principles. Anti-patterns, of course, are patterns you want to get rid of. Example of anti-patterns are spaghetti code, tightly coupled interfaces, no responsive design, rich client applications. 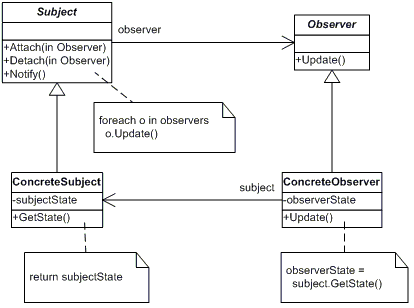 Above screenshot shows the Observer Design Pattern.